The NEXA iPad app was the first significant project I took on after getting hired at Canfield Scientific, Inc. 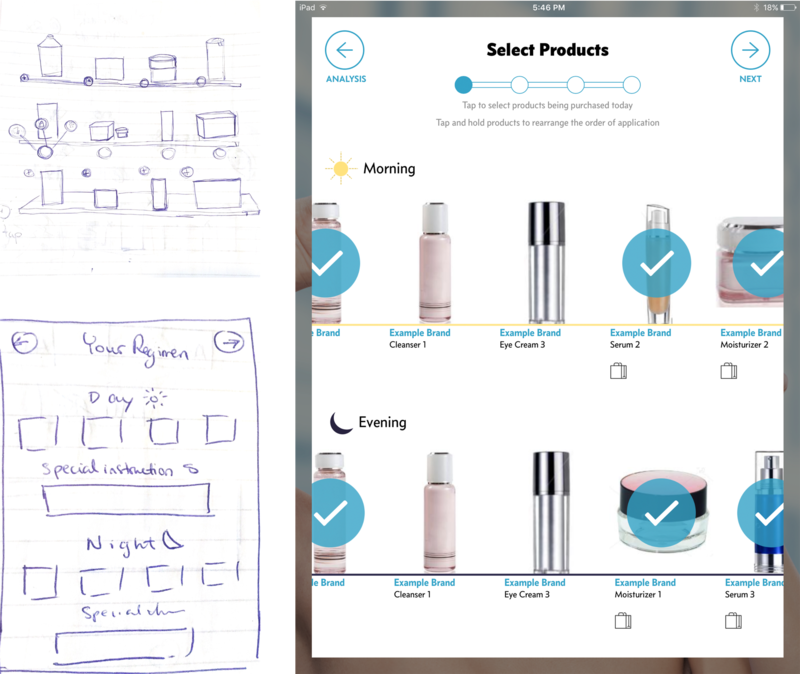 The previous designer had taken the app partway through to high fidelity mockups and what existed had gone through to development. As such, I was asked not to alter anything drastically. I mostly worked on additional features and interactions throughout the app, maintaining consistency with established visuals but pushing where I felt it was necessary. 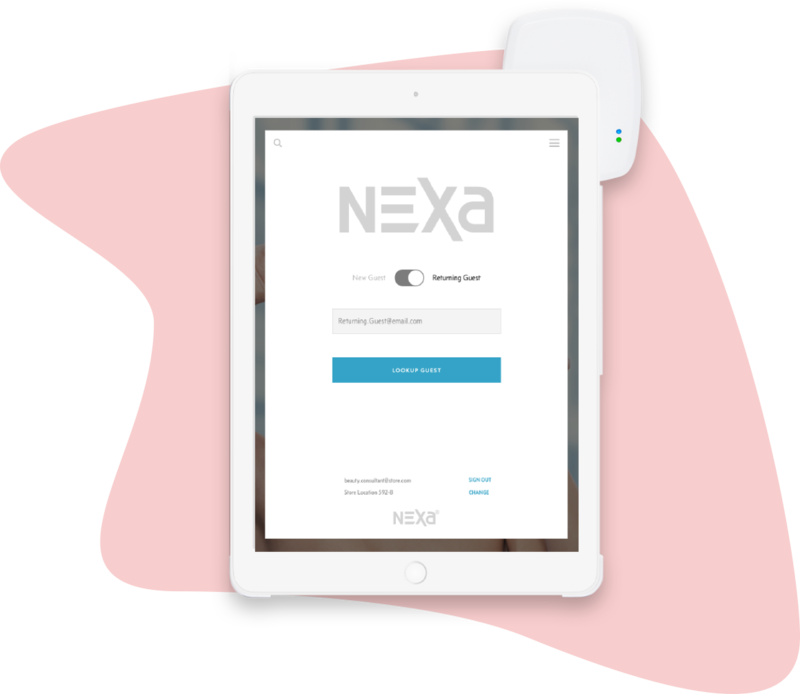 V1 of NEXA launched in early 2017. 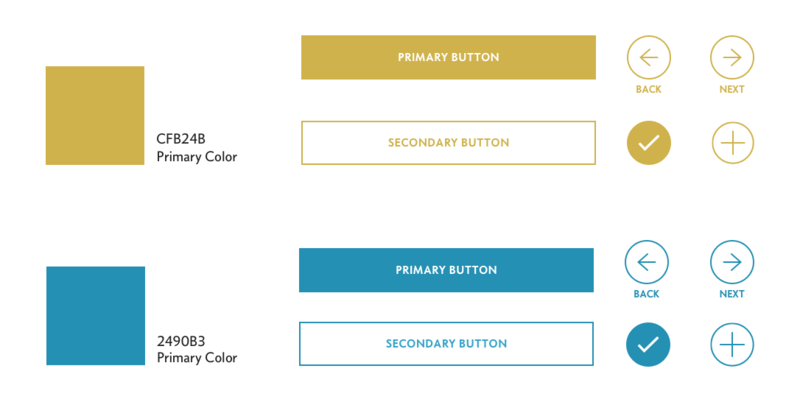 One of the changes I felt compelled to push for was to switch the primary CTA color from muted gold to bright teal. I advocated for this change because the original color did not contrast highly enough against the white background. Additionally, in researching several skin care brands, I noticed a common theme of blues and greens. With this in mind, I felt that incorporating teal into our product would help us convey an experience that combined science and beauty. After photographing and leading the consumer through the initial steps of the NEXA workflow, the beauty consultant would land on what we referred to internally as "The Summary Screen". This screen, seen here as it existed when I got ahold of it, provided a very brief breakdown of features that the NEXA 'analysis' would display. I believed that this screen presented an opportunity to include something more interactive and informative. Something that would serve as part of the consultation script for the beauty consultant as well as educate the consumer about their skin. 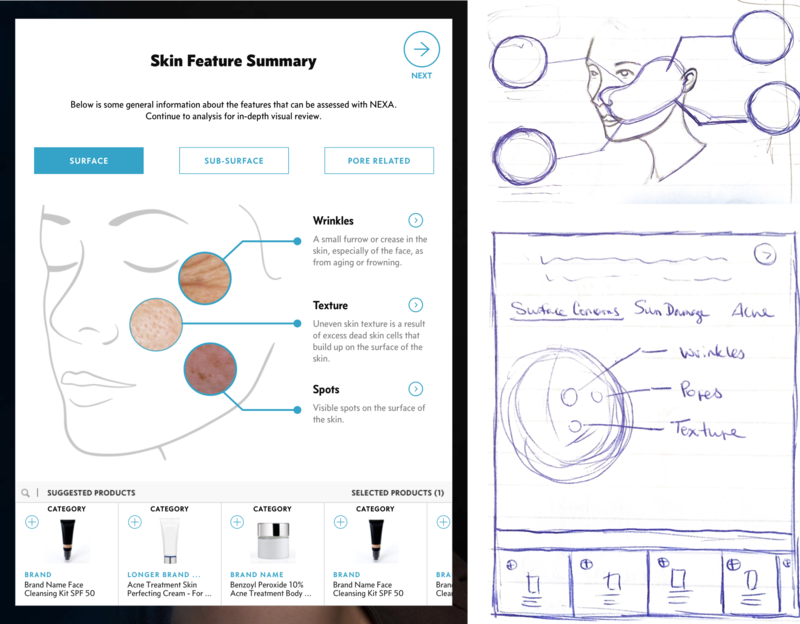 I envisioned a screen that was more of a diagram, showing the features 'analyzed' by NEXA on an illustration of a face. Each of the features would have a brief definition describing what that feature was along with an image that showed how it might typically appear. Additionally, these features could be further categorized by the level of the skin at which they would appear. In our meetings with beauty brands, we identified that a large part of skincare consultations was the construction of a skincare regimen. 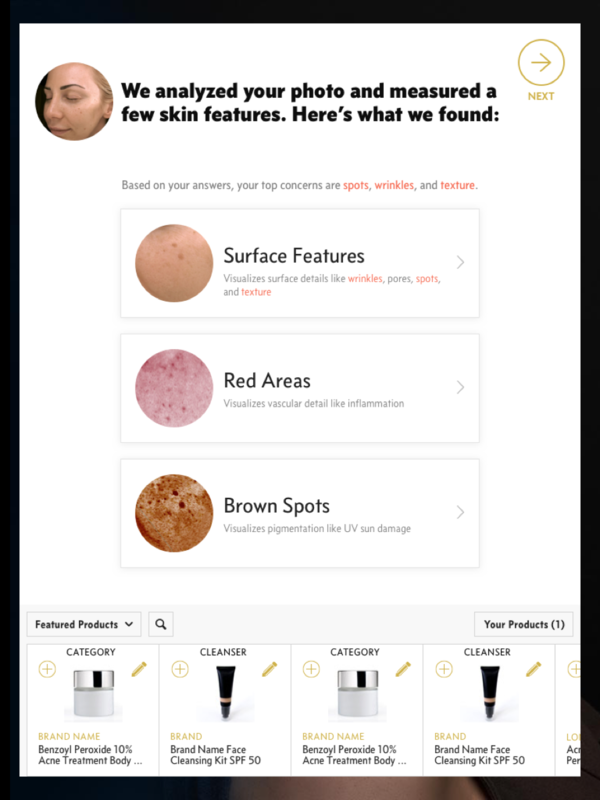 We realized that this feature needed to be integrated into NEXA if we wanted our product to function as a complete skin care consultation seamlessly. I worked with the marketing department to outline the core steps we wanted in our regimen workflow. These ended up being: One, the ability to construct both a morning and evening regimen. Two, an interactive screen that displayed the skincare products by time of day and allowed them to be moved/duplicated between each. Three, an indicator to show which products, if any, the consumer was purchasing. I took every opportunity I could to propose interactions, animations, and illustrations that would make the NEXA experience fun and delightful in ways that a traditional pen and paper consultation could not be. Pictured: Early prototypes. Adding a product to the customer's regimen, progress loader, icons to communicate the benefits of signing up for an account. Pictured: A few final screens from NEXA's workflow.